This is a simple tutorial to teach you in detail and step by step method to draw a horse having rider on its back. Following the simple method you will be able to know how to do it in super easy way. This is an amazing and simple tutorial to let you all tactics to draw a beautiful and amazing looking horse head. You can sketch it easily. All you have to do is to improve your skill and art of drawing. 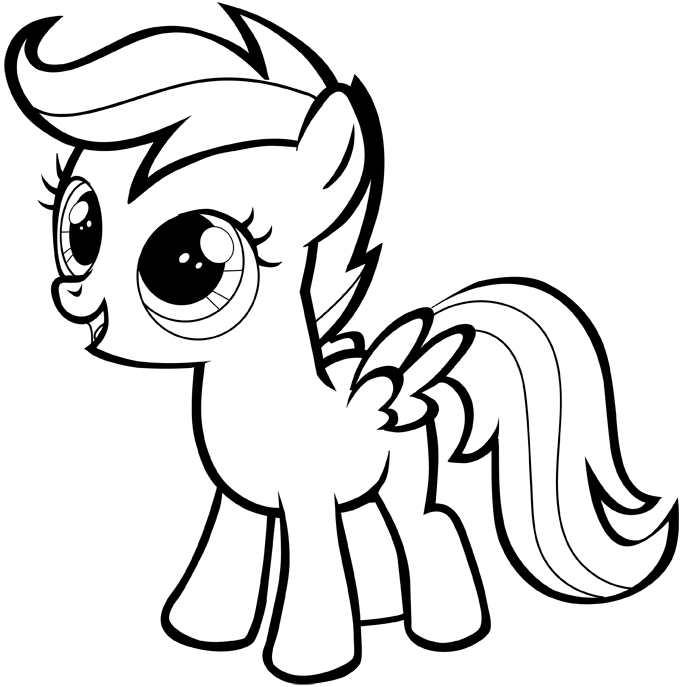 I am sharing a video tutorial on the topic how to draw a “my little pony” in easy steps. This is beginner level guide for better understanding of the learner. My little pony is a successful product and a successful media company too. It was established as a plastic pony toys by three determined cofounders Bonnie Zacherle, Charles Muenchinger and Steve D’Aguanno. The pony toys possessed different colors along with the dashing shapes and unique symbols on one or both sides of margins. We will let you know how to draw ‘my little pony’ step by step and easy way for beginners and kids in this video tutorial. My little pony have been updated and released many times i.e. up to four times to give a new look and a fresh start to their product according to changing market tendencies. They started from ‘my pretty pony’ in 1981 jumping towards ‘my little pony’ in 1983. An animated feature-length film and four animated television series have been released on this pony toy product for kids. with the release of its fourth product launch, it received a huge applaud all over the world and grossed one billion US dollars in its 2014 retail sales. It however received 650 million dollars in its preceding year i.e. 2013. The long and tiresome journey of my little pony can be divided into four generations. The G1 comprises of chubby ponies having signs at both their hips. This generation lasted from 1983-1995. The G2 ponies were little thinner than the G1’s and have the same signs on their hips. This era lasted from 1997 till 2003. The G3 ponies came with the same style as of G1 but slimmer and more innovative with smart accessories with a magnet under the hoof called hoof-heart by pony fans. Third era lasted from 2003-2011. The fourth generation was a mixture of all the preceding ones and the toys were smaller and up-to-date. Many G1 and G2 characters were added with modification. Fourth generation was also called as ‘Friendship is magic’. We have drawn this pinkish video in an effective and easy way giving as much details as we can to be understood by a trainee. Have a look at our previous video and try more awesome drawing tutorials for free. This is the video tutorial about how you can easily and quickly draw a hand holding a pencil in it. This is step by step guide for beginners. Pick a paper and lets start sketching your idea and perspective. We have been thinking to draw some innovative yet a classy typ of sketching to help you gain more experience. We searched a lot and finalized this tutorial for you. 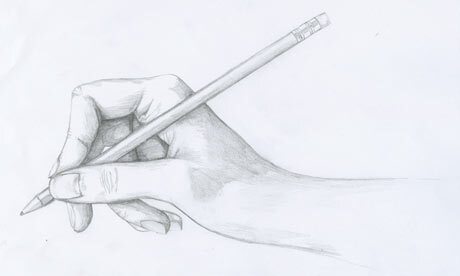 We have found a best drawing for beginners, and it is a hand holding a pencil. In simple words, you will learn to draw a pencil from a pencil, a hand to be drawn with a hand. You will draw what you are drawing right now. It may seem confusing but we will tell you how to draw your own hand holding a pencil in a step by step and easy video tutorial. You must be very careful while drawing this diagram. You should jot down the main tips and techniques on a paper before applying and blue printing it on paper. If you have missed the trick, no worries, you can watch it again two, or may be three times more to gain extra ordinary knowledge and then you can draw it immediately on a paper. If you have drawn an acceptable drawing on your first attempt, you have achieved an extra mile on your run to prominence. Watch the video and comment what can be done to improve our lessons. You must have got a vivid idea of what we were trying to explain and why we were considering this video as the best one for beginners. You can watch hundreds of our audiovisual tutorials on this site. All videos were made by professional pencil artists. Do not forget to press the share button below to appreciate our work. 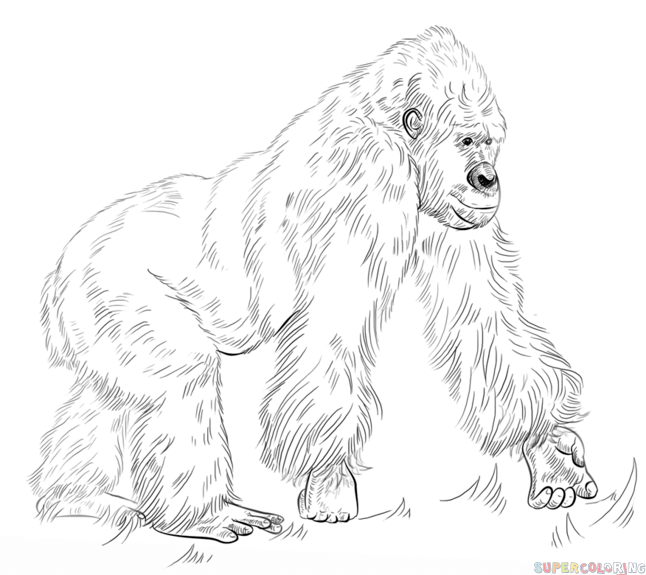 This video tutorial is about gorilla sketching, which will teach you how you can draw it in standing up position in easy step by step manner for beginners. This sketching just needs a piece of paper and a sharpen pencil. Gorillas are the scariest of the animals I have ever seen. Gorillas are one of the four species of the great apes closely resembled to humans, and have been a part of research regarding so-called evolution theory while the other three of the species are chimpanzees, bonobos and definitely orangutans. Generally, the gorillas are divided into four main categories termed as the eastern lowland gorilla, the western lowland gorilla, the mountain gorilla, and the cross river gorilla. They have those huge arms bigger than their legs enabling them to walk on their four limbs as well as on hind limbs when needed, that drive is called knuckle walking. The males have their own separate name; the fully-grown males are well-known as ‘silverbacks’ due to the unique silver-colored tresses on their vertebral column. We will enable you how to draw a gorilla standing up in an easy and step by step unique process in this video tutorial. Gorillas eat everything that is greenish in nature including stems, vines, leaves, roots and fruits. The Eastern lowland gorillas have swiftly weakened in figures to 5,000 at the moment. Unfavorably vanishing species, there are less than 300 Cross River gorillas with the numbers decreasing. Mountain gorillas have reduced to about 700. They are found mostly in central African states of Rwanda, Uganda, Nigeria, Congo, Gabon, Angola and Guiana. Cross River gorillas are limited to a tiny space in some parts of Nigeria and Cameroon. They are raised by their parents and they must leave their parents to be on their own after reaching adulthood. They are solitary in nature. They mostly leave their families to start a new life after 3 years of their birth. You must have learnt about gorillas as well as a method of drawing them on your pages without any hurdle, so stay tuned for daily video updates. Bookmark our page for best video to watch on your fingertips. In this beginner level video tutorial you are going to learn step wise drawing of a crow that will look like flying in air. This sketch will be like realistic bird waving up in air. This is very easy to draw on a paper. Just be careful at pencil gripping. We know we all hate that creepy little crow with his ugly voice and is black filthy color too, always finding a way to guano on us with a perfect timing when we are just below the tree, he drops his bomb like a jet fighter with a very accurate technique. Apart from those creepy vocal sounds, drawing a creature is an art no matter how small it is and how creepy it may seem to us. 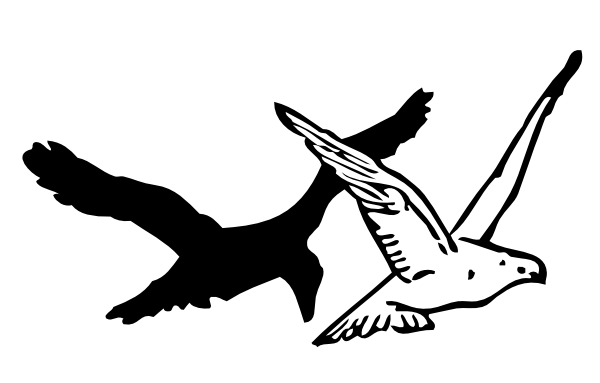 You must follow along our guidelines on how to draw a flying crow with his feathers fully stretched in the sky flapping his wings creating a whipping sound in a step by step and easy video tutorial for kids and beginners. Crows are birds close to the eagle family but they sound somewhat different sometimes totally opposite to those birds. They can eat anything from bread pieces to any kind of vegetables and meat too. Everything goes straight up to their stomachs and thank you, they are digested too without any kind of difficulty. They are no way near to intelligent birds list and a crow collecting pebbles kind of stories are totally fabricated, they are as dumb as most of birds are, so their living among people in towns, cities made them sluggish enough to rely on dumped food and remains of food. Their wild type too exist and are way much bigger than the town crows but they have some special skills to hunt down their prey and find one by putting some hard work, not just sitting around on some electric pole in some alley waiting for citizens to throw some remains so they can feed themselves. Crows are huge in number and inhabit in every part of the world and thanks to us, they are not listed in threatened species. Check out the video below and tell us what you liked most in this video tutorial. Share this video on Facebook and other social sites and don’t forget to bookmark our site for daily lesson updates. Visit daily for more of it. 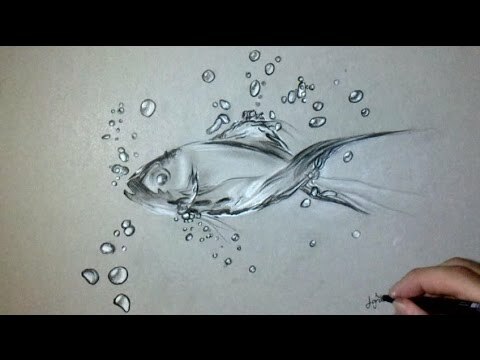 How to draw a fish in water video tutorial in easy step by step is presented for beginners level. This can be tough to kids like toddlers and preschoolers. Sit on the stool and grab paper and pencil and start sketching according to the tutorial’s instructions. Today, we are going to draw some very basic drawing for small kids. We will show you some kindergarten type of tutorial, so this lesson is dedicated in particular to our little champs out there. You will start this drawing by filling the page with some of the light navy blue color and then by proceeding to the video. This video was made by keeping in view some of the user requests to make some rudimentary videos for smaller ones. We will guide you through the process on how to draw a simple fish looking like swimming in a water ocean or an aquarium anything you may assume step by step for beginners and some toddlers’ preschoolers. This video tutorial is very unpretentious and can be drawn by any layman. Firstly you have to know how to grip a pencil, so watch our previous videos or watch this video very carefully and see how our artist have made a strong grip on the pencil. After learning it, you must proceed to the important part on how to start drawing and where to start on a particular page. Now, you have grasped the pencil and held it on your paper, the very next step is to follow the guidelines and tricks used or a simple drawing in the video tutorial below. You must have gotten the idea of this lecture on very first attempt or may be most of you must have got it on your second attempt so if you know someone among your friends who is not really a master in drawing, you must mention him/her on this website and refer him here for his good start in drawing. Share this video on social networks and spread the word out and don’t forget to bookmark us for daily entertaining videos and updates. Lets pick a paper and start drawing on it with pencil according to the video in which you are described how to draw a feather in step by step for beginners. This is an easy tutorial that is pretty much easy to follow. In this popular drawing tutorial made by many artists and taught in every professional drawing class by every teacher, we are going to draw a feather in a step by step video tutorial with an easy pencil technique for beginners and kids. Drawing a soft, light feather is one of the basic drawings for professionals, but at the level of beginners, it’s just a wish for every amateur or rookie to draw it perfectly. You are lucky to find us, because we will be drawing a feather today in a most simple and sophisticated manner. What we are going to do is to let you watch this video tutorial carefully for two to three times at least and then start making rough sketches by light strokes of your pencil. After practicing it for few times, if you believe you are ready to go, then go for it, otherwise keep practicing and we assure you that you will draw it perfectly like this sketch drawn by our illustrator in this example. Check out the film below and share your interpretations about this illustration. If you are satisfied by the above video tutorial, you can help us by sharing this video on social media sites and your friend circle. We would be pleased to know your fondness about our videos in comments section and will look forward to your respected suggestions. If you want to see another one, scroll down and enjoy. Watch more videos by clicking homepage and search video of your choice. 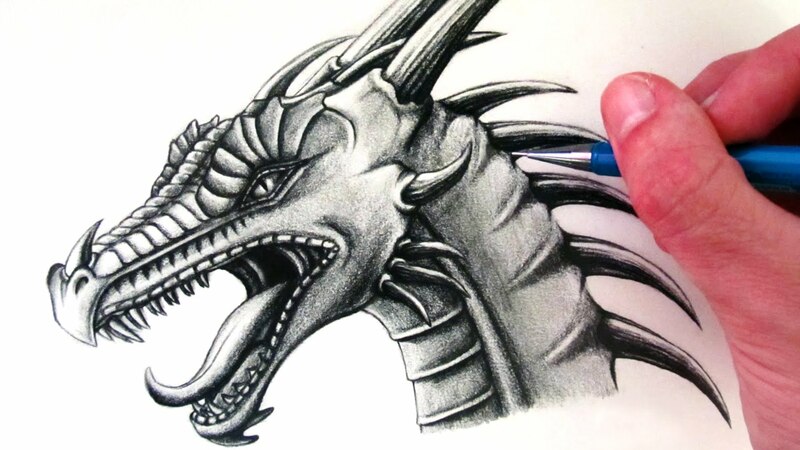 This video tutorial of drawing on paper will teach you about how you can draw an awesome looking dragon in step by step manner. This beginner level guide can easily be followed by any one. Just Pick a pencil and lets start. Dragons are the amazing and legendary fictional and mythical creatures keeping certain mythologies in many parts of the world. The word ‘dragon’ comes from a Greek work drakon which means ‘a serpent’. They were believed to be a part of serpentine or reptilian families long ago. There are two types of mythologies about the dragon, one in European literature and other in Chinese traditions and culture. Both are seemed to have been crossed by travellers carrying expeditions along the continents. These myths are spread throughout the Middle East, Europe and some portions of south Asia. We will discuss on how to draw a dragon in step by step method for beginners and kids on a paper with pencil. This video tutorial will give you basic ideas about drawing with a pencil. A dragon is a mythological representing of a reptile, but with the passage of time, it evolved having legs resembling a lizard. Nowadays, dragons are thought to be supernatural animals having legs and emit fires from their mouth with a scaly lizard type body, but in many European countries, they are depicted as a winged creatures having bat like feathers. This monster was always plotted in fantasy movies and our most favorite TV shows. Recently, their appearance in GAME OF THRONES was absolutely a great piece of art for art lover. We too, as art lovers must fall in love with this monster and show our love by drawing a beautiful sketch for it. If you liked the video, share it on any social site of your choice by clicking the social media buttons below. If you want more fun, go to our homepage and explore all kind of drawings from cartoon characters to epic scenes. This is the video tutorial about how you can draw easily and quickly cartoon like dolphin. The video tutorial is in step by step manner for better understanding of a beginner level learner. If you are a dolphin fan, this video is dedicated to you then. Dolphins are in fact, fnny creatures and they do not miss any moment to do funny kind of tricks in a zoo or in open waters to attract humans especially the kids in a zoo. They are harmless and peaceful aquatic species. For their full introduction, they belong to Kingdom Animalia, Phylum Chordate, Class Mammalia, Order Cetartiodactyla, and Clade Cetancodontamorpha, of Suborder Whippomorpha, and Infra order Cetaceans. 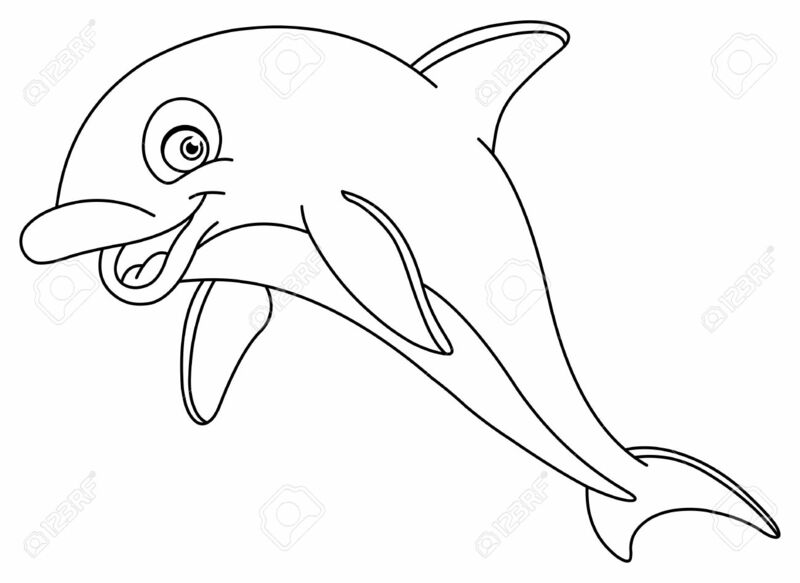 You will be able to draw a dolphin cartoon in easy and step by step method. This video tutorial, as we repeat, is for beginners and kids. Talking about some facts, they are highly intelligent found all over the world mainly in continental shelves and shallow sea waters. They are carnivores and feed mainly on small fish and squids, and other marine animals. They have many traces of colors in different regions but mainly, they are poised of a grey color with dark brown and black linings. Like other special creatures such as bats, dolphins too use echolocation to traverse and chase, producing high-pitched sounds to objects, and eavesdropping for the reverberations. They are very friendly; sometimes rise vertically out of the water to view their surroundings and then going to waters. Many scientists believe that a fact that they ride along with many ships is that to preserve their drive by ships. They often show organization in open waters spy-hopping collectively giving great pleasure to a viewer. Share this video for two reasons; firstly to learn and implement this drawing and then to read these beautiful and informative articles about the things you are going to draw right away. It will give you both knowledge and art. These small articles can help you in your home assignments if you wish to.